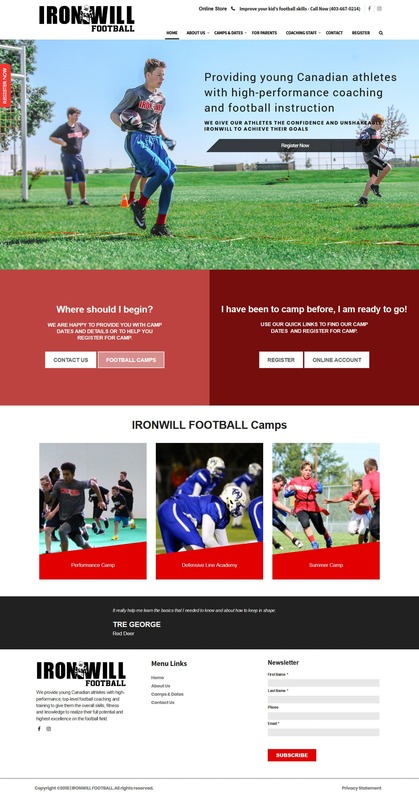 Iron Will Football - Syntactics Inc.
Our vision at IRONWILL is two-fold. We are primarily committed to providing young Canadian athletes with high-performance, top-level football coaching and training to give them the overall skills, fitness and knowledge to realize their full potential and highest excellence on the football field. Secondly, but no less important, is our vision to provide our athletes with the confidence and unshakeable Iron will to achieve their goals and stay competitive both on and off the field. Here at IRONWILL we believe a genuine victory on the field includes excelling in ones own life off of it.